When it comes to adding value to homes, most experts in the housing industry would agree that no other surface can surpass natural granite. Granite is a natural rock which forms from rapidly cooling volcanic magma. It is this exposure to extremely high pressures and temperatures at formation that makes it highly resistant to heat – easily handling today’s hot frying pans and pots. Granite is unsurpassed by any other man made or natural surface. In hardness, it is rivalled only by diamonds which are used to cut and polish granite. This makes granite an ideal and stylish fixture material for bathrooms and kitchens. It is extremely scratch and wear resistant and can keep its lustre longer than most other materials. A bonus of this hardness and density is natural water-proofing. 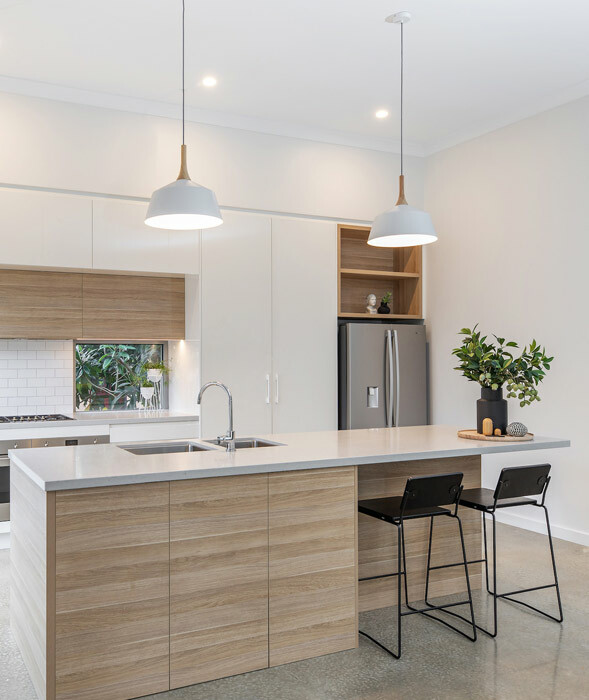 A granite benchtop is easy to care for and maintain, allowing absolutely no room for bacteria and mildew which can become problems with most other alternatives. Granite’s most phenomenal feature is its amazing natural beauty. Granite is available from quarries in Europe, India, Brazil and other regions of the world rich in natural stone. Granite comes in a large variety of textures and colours. As no two pieces of granite are created the same, it brings a true uniqueness to every kitchen and bathroom. When it comes to adding value to homes, most experts in the housing industry would agree that no other surface can surpass natural granite. 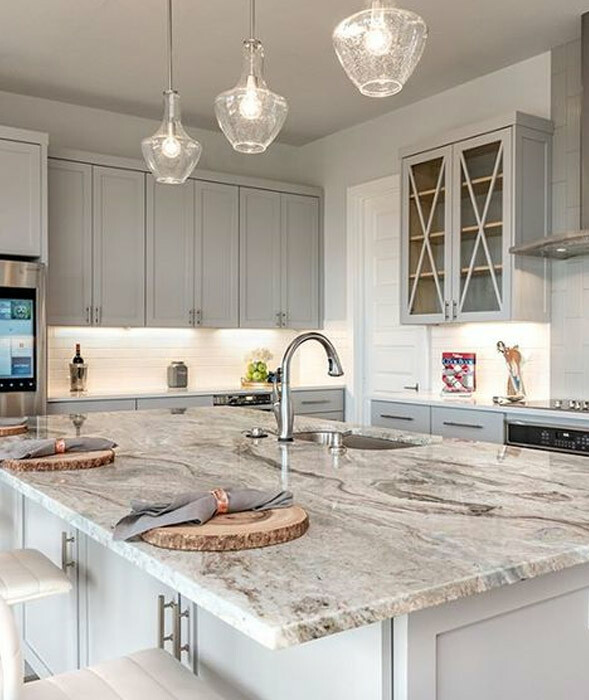 Installing granite benchtops is one of the most effective ways for home investors to upgrade parts of their property in order to gain a premium re-sale price. Granite benchtops also make an impressive design statement for studios, apartments and other smaller spaces. A granite benchtop in one corner will draw attention to your kitchen and make your area appear more spacious. 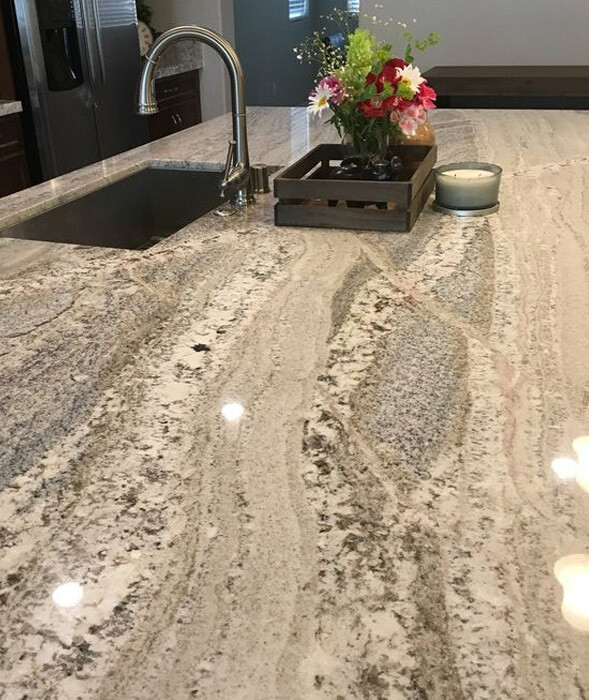 The word granite comes from the Latin granum, a grain – in reference to the coarse-grained structure of a crystalline rock. It is a common and widely occurring type of intrusive felsic igneous rock. Granites are usually medium to coarsely crystalline, occasionally with some individual crystals larger. It is nearly always massive, hard and tough and it is for this reason it has gained widespread use as a construction stone. The red pyramid of ancient Egypt, the third largest of Egyptian pyramids, is a famous example of its use dating back to antiquity. At WA Marble & Granite, we’re experts when it comes to anything granite. If you’re interested in finding more about Perth’s leading granite products, come visit us at our Malaga showroom. Alternatively, get in touch with our friendly team here. WA Marble and Granite have completed several jobs for us. Their service and workmanship has been excellent. I would recommend them to anyone. The purchasing process was conducted over the phone with extensive and useful information being provided on the product and installation. Excellent service from both, the sales people and installers!The end result on both projects exceeded our expectations! The installers were ‘perfectionists’, friendly and obliging.Your company conducts business in a very friendly and professional manner. We are delighted to refer WA Marble & Granite and have already done so to neighbours and friends. WA Marble and Granite replaced my marble top. The Service was outstanding and I would feel very confident in purchasing products in the future. The replacement marble is of a very high quality, and the grain (and colour) is very close to the original slab.I was very pleased with all contact, and all my queries were handled with speed and perfection. The marble top was delivered much earlier than I had expected and I was especially delighted by the 1st class service from Nora and the Receptionist, Kathy. I would say come and see the work they have done on my kitchen, laundry and outdoor kitchen. Nothing was too much trouble for them. They answered all my questions. All your staff are very easy to work with, have a good knowledge base and understanding of what we are trying to achieve, lead times are generally really good [we all get under the pump at times] and quality is getting even better than what I thought was already good some of these mitred joins are pretty cool, so thank you for your service and barring any unforeseen we will continue to support you into the future. The most important aspect of having someone’s house turned upside down is that each trade answers their phone and communicates honestly so that any contingencies can be dealt with to reduce the stress and risk of bad relations with clients. WAMG is always exceptional at this and it’s hard to look elsewhere when you are getting this as part of their service. We have had our kitchen benchtop replaced through WA Marble & Granite and were extremely happy with the end result. We were also impressed with the customer service and care throughout the whole process from quotation through to post-installation follow up. Todd is an exemplar in customer service; he was very proactive in letting us know of any required changes (e.g stone configuration within our kitchen layout and to fabrication standards). We felt that our needs as a customer were put first, which was a pleasant surprise. Would certainly highly recommend this company. Established in 1935 by the Paganin Brothers, W.A. 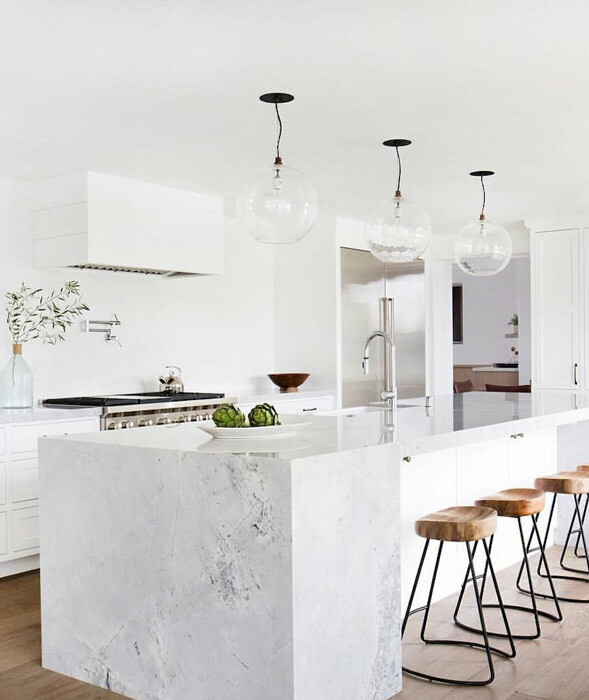 Marble & Granite is a Perth-based company delivering years of experience, sound advice and a fantastic range of top-quality marble and granite from around the world. We remain family-owned to this day.